1. Động cơ diesel ở 180ps, Euro4, 4x2, LHD / RHD. 3.Flat-giường dài 6.7m, chiều rộng 2.5m. Vật liệu với thép cacbon chất lượng cao 5mm. 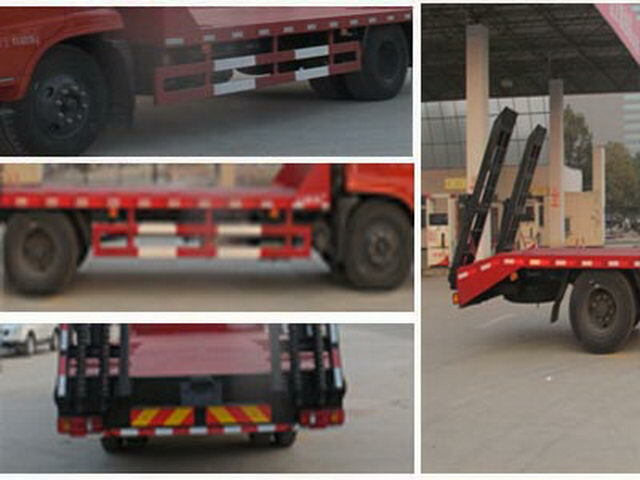 EQH180-40 Dongfeng Commercial Vehicle Co., Ltd. The vehicle is only used for transporting non detachable objects. 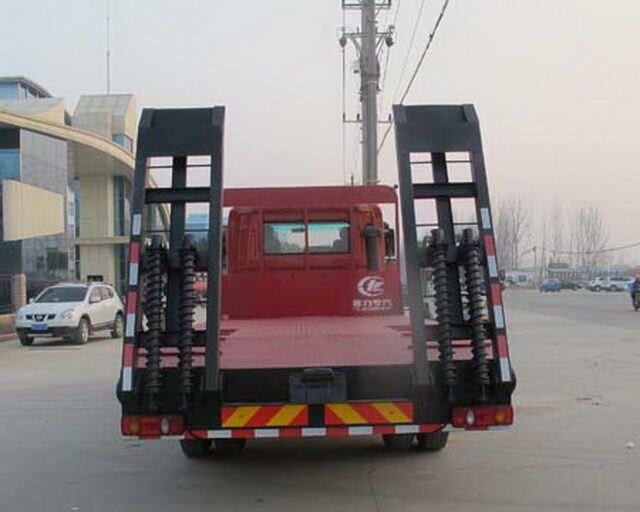 Protective material:Q235Acarbon steel,Connection mode:The left and right sides and flat beam connected by welding, Back slope and post protection interference,Post protective immunity,The rear ramp is off the ground.525mm. The vehicle mounted travelling data recorder with satellite positioning function. The engine is only used in the engine model:EQH160-40,EQH180-40. Vehicle length/The front suspension/Rear overhang/Wheelbase(mm)Corresponding relation is:9000/1430/2570/5000,8600/1430/2470/4700.ABSModel:3631010-C2000,Manufacturer:Dongfeng electronic Polytron Technologies Inc brake system company. The cab chassis with optional height only different,Optional cab front spoiler,Optional dome. Other: The dome is optional,Optional height only different cab,Optional cab front spoiler;Optional sleeper side window decorative board,Optional pedal type,Optional single cab.AABS,ABSModel:3631010-C2000,Manufacturer:The East Branch Knorr commercial vehicle braking system(Shiyan)Limited company.The chassis is optional front exhaust pipe,Optional disc brake,EQH160-40Optional engine speed limiting device,Speed limit80km/h.